Stuart Lancaster insists current form was the only deciding factor in his selection of Lee Dickson ahead of Ben Youngs at No.9 for Saturday's clash against Australia at Twickenham. Dickson's name was the most notable in the starting 15 - ahead of Ben Youngs, who has amassed 33 England caps since his debut in 2010 and also started the second British & Irish Lions Test in Australia this summer. But while Youngs was playing for Warren Gatland's Lions Down Under, Dickson was holding his hand up for selection with encouraging displays during England's tour of Argentina, and has hit the ground running for Northampton Saints this season. The summer arrival of world-class scrum-half Kahn Fotuali'i at Franklin's Gardens looked likely to consign Dickson to the bench this season, but the 28-year-old has responded admirably to the challenge and his domestic form is currently keeping the Samoan international on the sidelines rather than the other way around. Having previously been the one to be cut by England in favour of Youngs and Danny Care, Saturday presents a huge opportunity for Dickson to stake his claim for a regular starting berth. And Lancaster admits Dickson's domestic form, which included a brilliant display opposite Youngs in the 19-19 draw with Leicester Tigers, was crucial in the decision to hand him a start this Saturday. 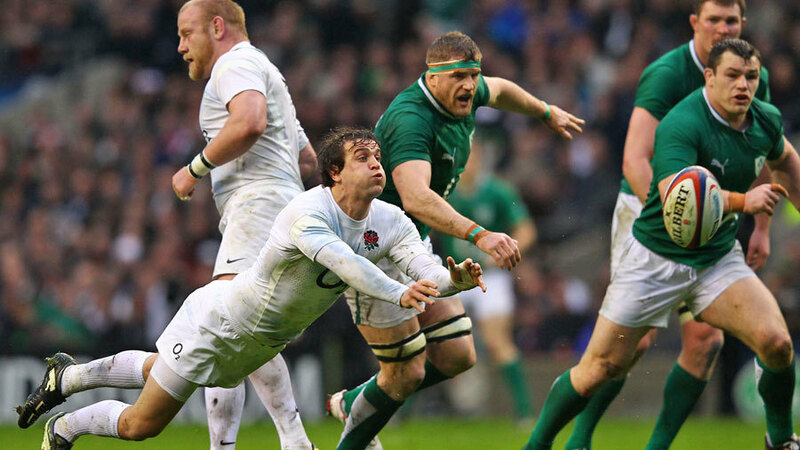 Lancaster said: "Lee's played quite a lot of the games I have been involved in as England. Scrum half is a competitive position but we've made an objective assessment of players' form over the first half of the season and Lee has been ahead. "Form has always been a key factor for us - we have three top quality scrum-halves so it was a simple choice of who was playing the best at the moment. Ben, Danny and Lee all know that they have to be playing well to get in this England side and this selection reflects that you can't take your first team place for granted. "With the credit he's got from what he's done in Argentina and in previous games, on form he deserves a chance to start. He's plays quick, brings tempo to the game and his kicking has improved and he's defensively good. "There's nothing more unsettling for a defensive side than when you play with tempo - you can get going before they are settled into their patterns. Lee can do that and we are fortunate we have Ben [Youngs] on the bench, who can do that too."